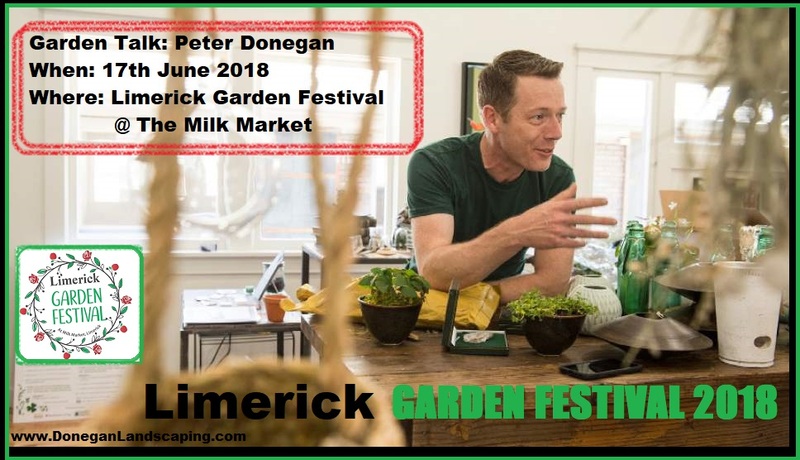 This June I will be hosting The Garden Talks Stage and speaking at Limerick Garden Festival 2018. My own talk will be on garden design in small spaces and how to make the very best of your space outside. The covered Milk Market is located right in the centre of the city in walking distance from all major car parks and key streets. For the festival we will be using the full covered market area featuring over 35 Plant, Garden and Food Stalls and also we will be making use of the streets around the market featuring a further 10-20 stalls. The market will also feature our Expert Garden Speakers, exhibitions and entertainment from the garden & beyond for Young and Old. A real honour to be invited here, I’ll be there with a fantastic line up of speaker and experts. Very much looking forward to this one.